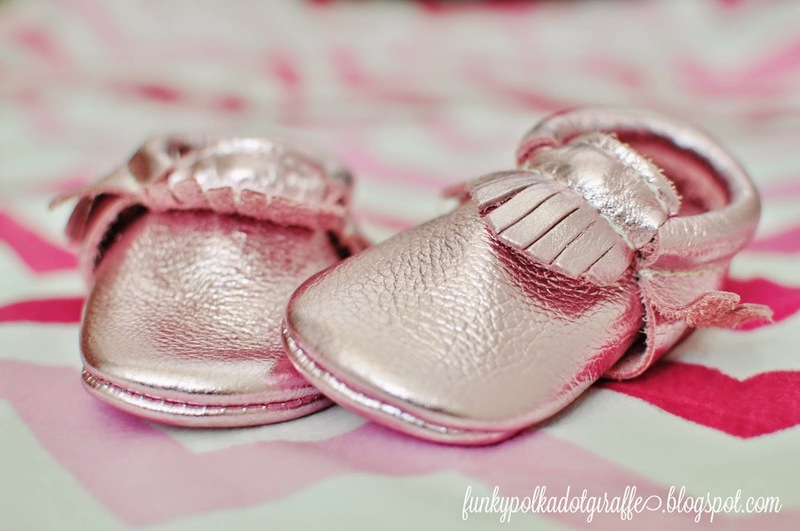 Funky Polkadot Giraffe: Funky Giveaway: Freshly Picked Moccasins!!!! 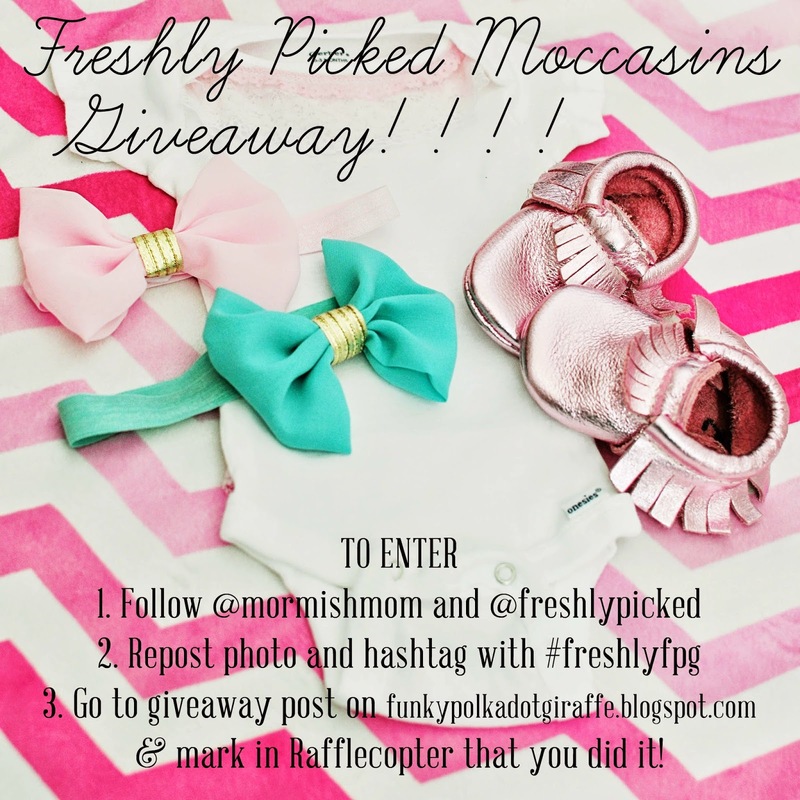 Funky Giveaway: Freshly Picked Moccasins!!!! UPDATE: Contest is over and a winner has been picked. Thank you to all that entered!!!! You don't even know how excited I am to share this with you today!!!! I have been stalking Freshly Picked since I first found out about them a couple of years ago. that these fantastic baby shoes would never be part of their lives. the Freshly Picked site and start plotting our collecting. to outlast even the roughest toddlers shenanigans. because I wanted to feel the shoes and see if they were as soft as they looked. or match it to the printable grid. and, wait, I could go on and on and on - they are all just so gorgeous! 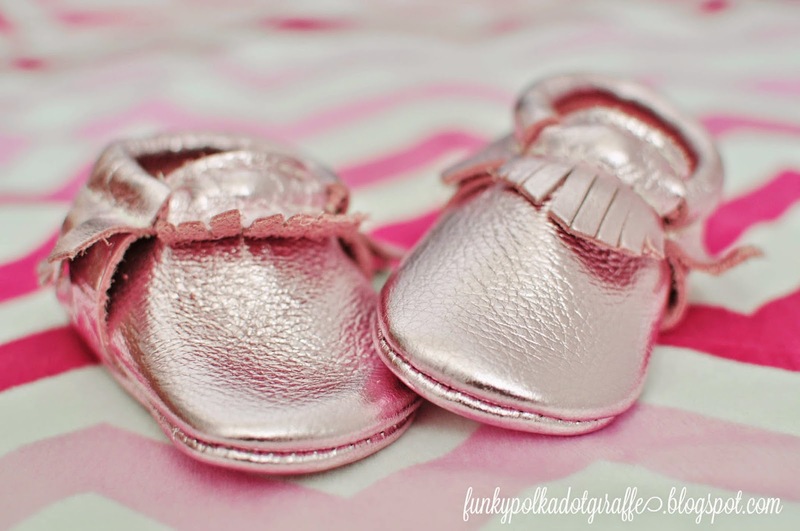 I know that my little Grace is going to look darling in her Freshly Picked moccs! and has stayed pretty tiny, so her moccs don't quite fit yet. That just means I get to enjoy these gorgeous little shoes for a little bit longer. I'm so excited that Freshly Picked is collaborating with me to offer my readers a giveaway! Just a few things - you must be a US citizen and at least 18 years old to enter. You can repost the image below to enter on Instagram. Be sure to come back and click the little button on Rafflecopter telling me you've done so! The contest is open 5/1-5/8 at Midnight PST! I adore the stone suede moccs! It is so hard to choose a favorite color, but I think I would pick Golden Rod or Rose Gold! My fave are the heirloom ones! I love this!! I, too, have been dying for a pair for my girl! Great giveaway! Forgot to add that my favorite color is the gold! I love the Aruba and the Huckleberry! My favorite color is currently radiant orchid. I love the Ice Mint. The Birch is my favorite! i really like the sand suede color but they are all gorgeous! The Prince George are so very cute! I'm in love with stone suede and blush! I LOVE the pumpkin color! 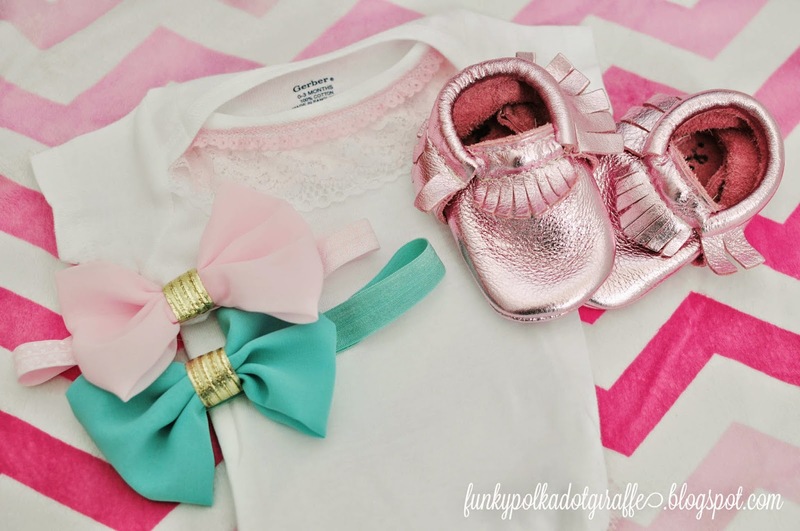 I would pick the Birch Limited Edition color since I don't know the gender of our first grandchild yet! These are adorable! Love swimmin' with the sharks! I like the sprout or the aruba! My fav color of moccs is the ice mint! My fav color is the ice mint! i love the weathered brown. I'm loving the new color birch! I'm in love with the birch! Did I comment? I think I did, it's not showing up. I'M TRYING TO GET ALL OF THE POINTS!!! :) Rose is my fav.or.ite. I would love the camo! stone suede is where its at. We are dying to have Camo!! I love the sand suede or birch! Love the Radiant Orchid color! I love the Ivory ones! I like the raspberry ones!